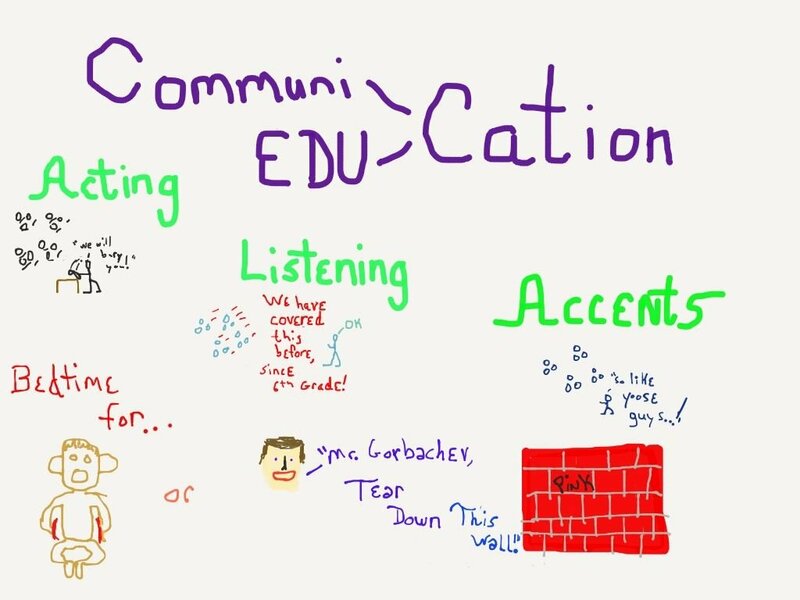 Last night I sat in on a PAECT members only webinar about Sketchnoting, or visual notetaking with Sylvia Duckworth. I have read about this concept before and encouraged a number of my students to work with the concept over the last several years. I never practiced it due to a very basic level of drawing ability, my wheelhouse is writing. A free refresher on the topic was too good to pass up, especially when presented by someone as well respected on the topic as Sylvia is. I was hoping to pick up some new ideas to pass on to my students, which I did. That being said I also gained a better understanding of of the overall concept. This came about by actually practicing or trying out the various strategies as Sylvia explained them. After the hour and a half webinar I can safely say that I am still far from a Skectchnoting expert. I can say, however that I am much more comfortable explaining the concept to others. I also see how Sketchnoting can help me when the need arises to study. Going back to review my notes and sketching out a re-writing would benefit me the most out of the strategies discussed. I hope to have a Sketchnote to embed in this post shortly. 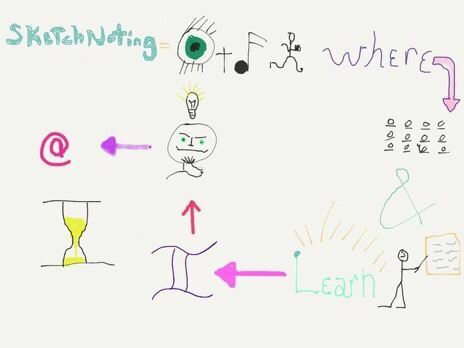 Here is a short video overview of the Sketchnoting concept. This is my Sketchnote Review of the webinar. At this past February’s PETE and C in Hershey, PA, I learned more about a concept called Breakout.edu. 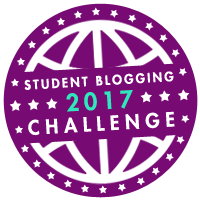 The premise is that students or adults solves a series of puzzles and/or problems to achieve a predetermined learning goal. Breakout.edu allows for critical thinking, collaboration, and creativity. These lessons can be either digital in nature or actual physical lock and puzzle boxes. 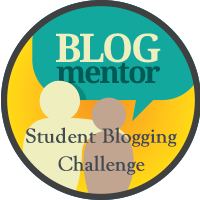 There is a growing and strong support network for teachers online, with numerous resources, but that is a topic for another blog post. I chose to work with a digital breakout to start, it is free and I have access to all of the necessary online resources. Here is the Storify from the #PAEdChat from Thursday, March 2, 2016. It is also cross-posted on Blogger at the Southwest Regional Directors blog. Here is the Storify.com review of our #KTIchat from March 2, 2013. We discussed last week’s PETE & C event. This story is also cross-posted at our Southwest PAECT Blog. This is the last planned post of tweets from Storify. This is cross-posted to the Southwest PAECT Blog located here. What I great conference I wish I was there…anyway, here is a Storify of Tuesday evening Tweets through Wednesday morning. This is also posted on the Southwest PAECT Region Blog on Blogger located here.